Sundays are calmer days in Cambridge. But still there is the spirit of greatness all over the place. Taking breakfast, lunch and dinner in the eating halls of Magdalene College is a honourable experience. The College prides itself on the reputation it has gained over the years, for its excellent cuisine. A wide choice of menus are available and special requests can be accommodated. CSI were able to accommodate for dietary, allergen expectations and my vegetarian lifestyle. After experiencing the student atmosphere in the dining hall, I went to Samuel Pepsy Library. The College Library is Magdalene’s working library. It offers a congenial environment for students to exchange thoughts between different academic fields. There is a feeling that many Cambridge students I spoke to will become the coming top. For some, meeting the competition is inspiring, but others might be disheartened to be dropped into a larger pond. Cambridge wasn’t simply to do with cleverness. According to my talks to the students, some of the brightest were also not the best students. And some of the least bright were doing well. Stephen Hawking – for instance – said he spent most of his first couple of years at Cambridge reading science fiction. I believe that, because his grades weren’t all that great. But I think Cambridge creates change in people. They accept excellent people and shape them to global leaders. 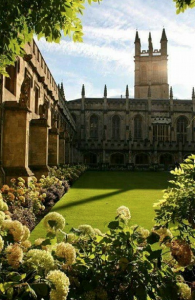 Especially Cambridge where excellence is relative – because the best of the best come together – makes that even the lazy students can’t help but write at least a couple of essay a week. All in all, the new industries are more based on mind power than in any other time and the “knowledge workers” tend to like to be near other people who are the same. People cluster. This means you have winning regions, such as Cambridge, and losing regions. The people who want to be – for example – top lawyers are hovered up by Cambridge. This collaborative sprit of high intelligence combined with great personality makes Cambridge so special.